We are a growing community of dedicated hobbyists and professionals that share a passion for raising chickens. Call it a return to normalcy, a source of eggs, a better way to handle food scraps, or a liberty. We believe that by providing great tools we can help organize and bring about radical change. 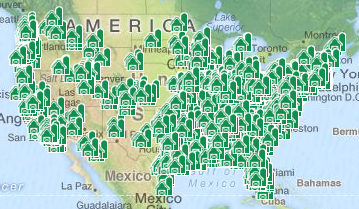 Explore our Map or signup now to be notified of changes to laws in your area. 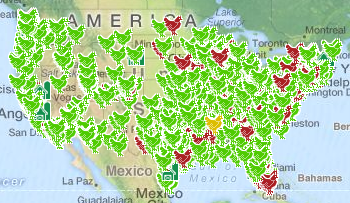 Find chicken laws in your area, or help us by growing the movement and petitioning your city to change its keeping laws. 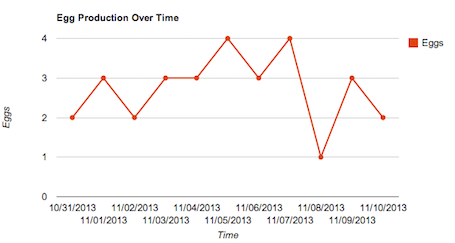 As if free eggs from food scraps wasn't fun enough - we just try to help quantify that impact. Small local farms provide you with eggs, meat, cheese, soap, produce, and a variety of other products.